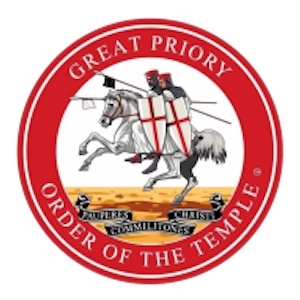 The Order of St. Thomas of Acon was established in 1974 as a result of twenty years’ research in the Guildhall Library in London by John E. N. Walker, who for many years was the Secretary General of the Societas Rosicruciana in Anglia. The ancient records of the Order, written in medieval French and Latin, had been deposited in the Guildhall Library and escaped the Great Fire of 1666. The Commemorative Order of St. Thomas of Acon is an independent British Christian masonic organisation. Membership is restricted to those who are subscribing members of a Knights Templar. If you’d like to know more about St. Thomas of Acorn and are looking to join, then visit the website below. The Province is comprised of Yorkshire, Durham and Northumberland, with meetings held in a chapel. A list of meetings in the Province can be found here.